This is a moment I’ve been working towards for a long time. 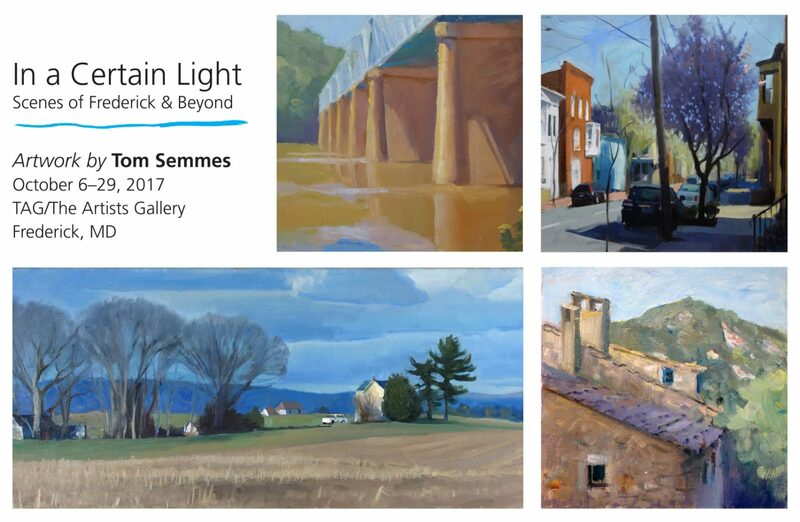 I am having a solo show “In a Certain Light…Scenes of Frederick and Beyond” at TAG/The Artists Gallery where I am a member. Over 24 paintings, most of them featuring contemporary landscapes, with my characteristic lush brushstrokes and glowing light. The show opens Friday, October 6. Stop by and see me at the reception on Saturday, October 7, 5-8 pm. I will also be giving a talk about my work on Sunday October 15, 2-4 pm. TAG/The Artists gallery is located at 216 N. Market Street, Frederick, MD and the gallery is open Fri-Sat, 12-9 and Sun 12-5. The show closes October 29.